Author Dave Vizard at Populace Coffee on Washington Avenue in Downtown Bay City. Click Play to hear exclusive MyBayCity interview. Dave Vizard, retired Bay City Times editor, has been writing his novel, "A Formula for Murder" for five years. 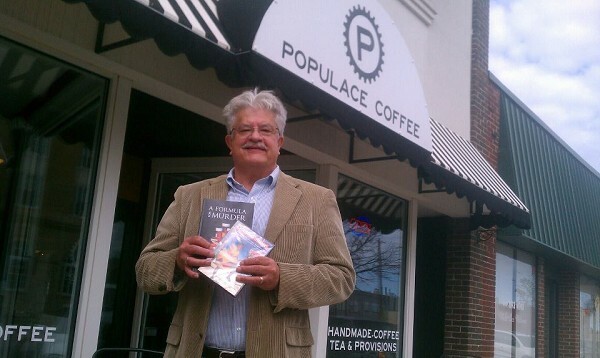 Vizard recently visited Populace Café on Washington Avenue in Bay City and hosted a book signing. Vizard was on hand to answer any questions, and sign copies of his recently published book "A Formula for Murder". Highly recognizable local places like O'Hares Bar, Bay Medical Center, Central High School, the Bay City Players, State Theatre, etc., are sprinkled across the pages of Vizard's bona fide local thriller. Lansing's Green Door restaurant also makes a cameo appearance as the scene moves around the state. Bay City Blade reporter Nick Steele turns a mundane obituary into a major crime saga and revives his lagging news career in dialog replete with salty language and breathtaking plot twists. 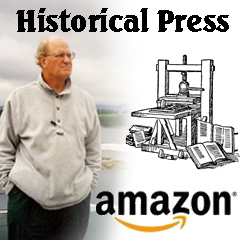 Today's drugs of choice and a female newspaper publisher nick-named "The Castrator" spice up the novel as it whirls along with Steele's probing for the murderer of three school officials.